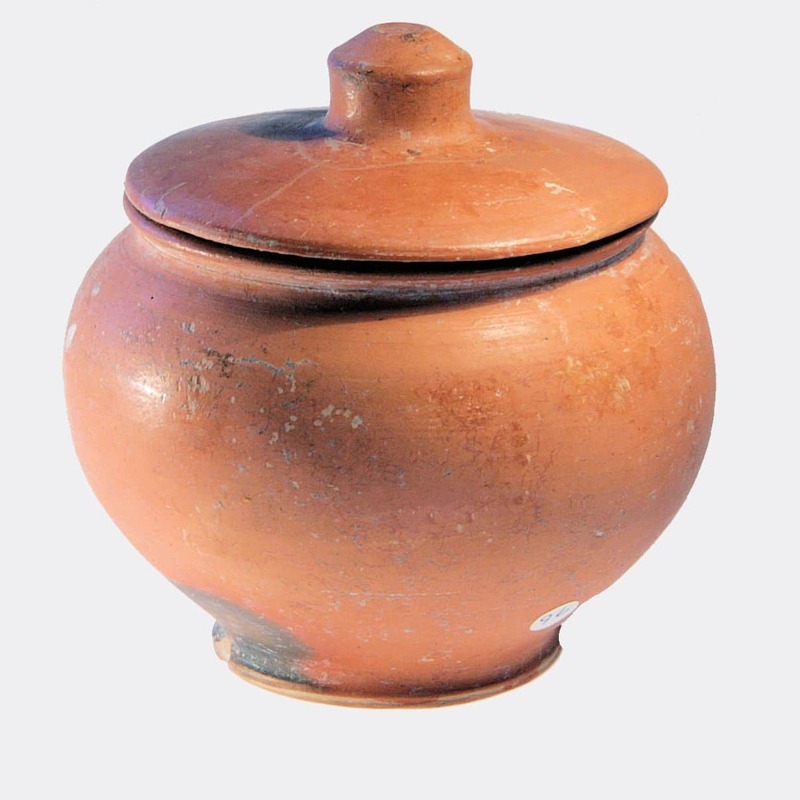 A brown glazed pottery urn with a round lid. 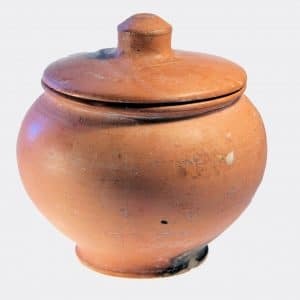 Although the colouring is quite attractive the vessel was probably intended to have been black as is suggested by a small coloured patch in the glaze just above one side of the foot. Lid repaired with a little restoration, body intact apart from light wear on the rim and a small chip on the foot. Ex. collection: John Broadbent, UK; acquired from Charles Ede in 1968.